Multi Sports Teams – Football teams, Cycling Teams, Individuals Athletes. 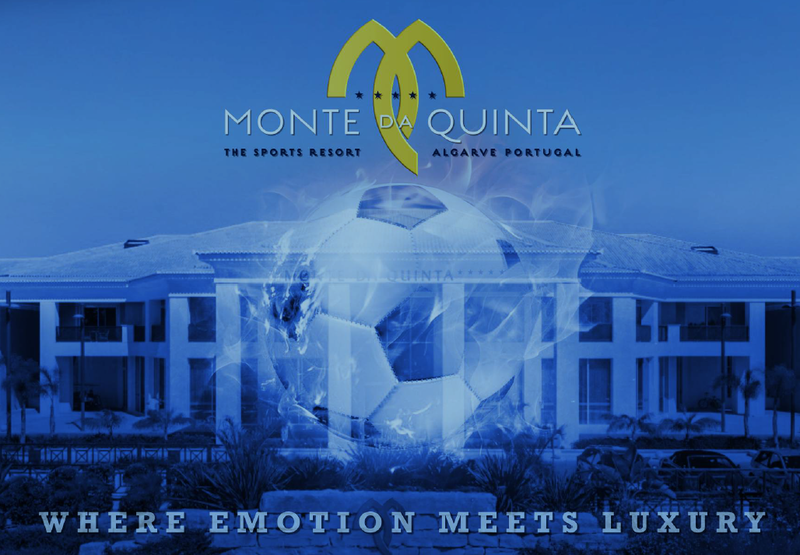 Located in Quinta do Lago, in the heart of the Algarve, surrounded by the Natural Park of Ria Formosa, Monte da Quinta is the ideal resort for Professional & Amateurs Sports Groups and Individual Athletes. Built in quiet surroundings, the resort offers 132 suites, with 1, 2 and 3 bedrooms, distributed on two floors with spacious rooms and en-suite bathrooms, and a fully equipped kitchen. An airy living room with a dining area and a guest bathroom leaves no wishes unanswered and is ideal for a comfortable as well as private stay to guarantee maximum performance. 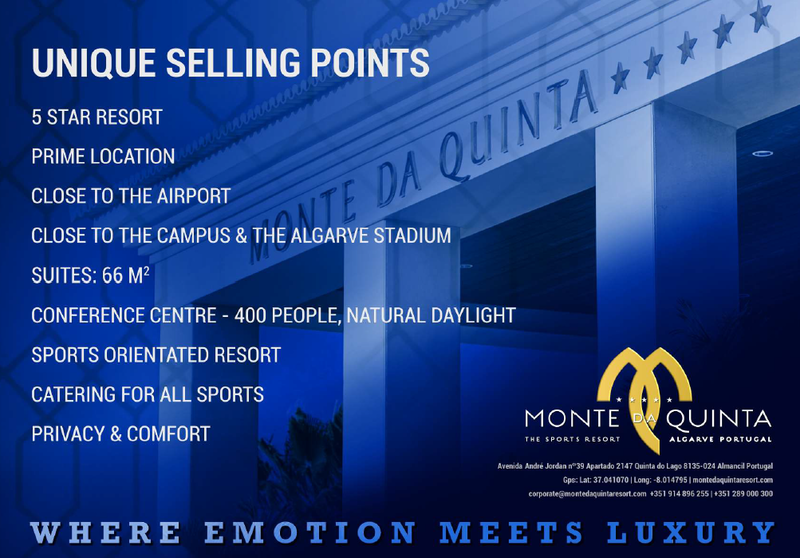 17 minutes from Faro International Airport, 13 minutes from the Algarve Stadium, 10 minutes from Vale do Lobo Pitch, 7 minutes from the CAMPUS. 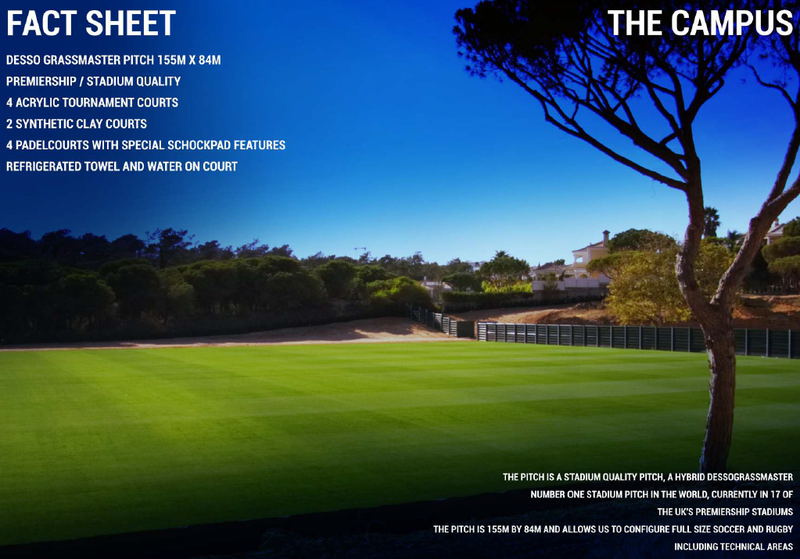 The CAMPUS is a Sport Facilities with stadium-quality pitches, including a full-size FIFA-quality Desso GrassMaster by Tarkett Sports pitch suitable for football and rugby.